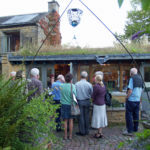 I have found being a member of the AECB very helpful with the two refurbishment projects I have done over the last 12 years, in particular taking part in local group visits to other projects and the conferences. Access the tools and knowledge to design and certify your low energy building project, through our unique combination of research materials, technical data, training programmes, discussion forums and networking opportunities. Create high performance low-energy buildings in line with existing and future legislation with our tools, training courses, library and retrofit knowledgebase. With a full subscription to Passive House Plus Magazine including digital access providing you with exclusive image galleries of plans and construction details. The AECB CarbonLite Retrofit Online Training Course is the culmination of five years of AECB investment and research. Get access and discounts on this industry leading wealth of knowledge and methodology. Enjoy discounts on the software required to calculate energy use - Passive House Planning Package (PHPP). Take the opportunity to hear from experts and share knowledge by interacting with other AECB members at our Conference and through local group events which range from talks, presentations, site visits or even a 'pedalhaus' cycle tour! We will guide you through becoming a certified Passivhaus Designer or Consultant with our CarbonLite Training Programme which includes a wide range of training, tools and resource access. "I have found being a member of the AECB very helpful with the two refurbishment projects I have done over the last 12 years, in particular taking part in local group visits to other projects and the conferences." "AECB membership has benefited me greatly as I embarked on renovating and extending our family home. I learnt so much about things like Passive House. The resources gave me the confidence to buy and install an MVHR system and I’ve sourced a thermally efficient front door with my new found knowledge." 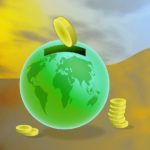 "Just to let you know I have also just placed an order from Greenbuilding store and picked up lots of Proclima material with an additional 2.5% discount because of the AECB membership. This is fantastic!" "We have now completed our new build, having very much valued the help received from AECB in establishing the energy standards that we’ve incorporated into our new home." With our practical step-by-step guide for designing low energy, low C02 emissions domestic or non-domestic buildings you can create high performance buildings using widely available technology at little or no extra cost by building your projects to the AECB Silver Standard. Self certify and share your project on the Low Energy Building Database. Prioritise hot water savings too with access to our Water Standards. 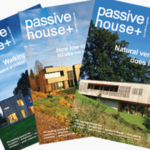 Keep abreast of the latest in low energy building and more with a full subscription to Passive House Plus Magazine (published 6 times a year) including digital access providing you with exclusive image galleries of plans and construction details. 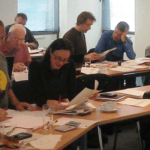 Gain the confidence to tackle UK Passivhaus projects as we guide you through becoming a certified Passivhaus Designer or Consultant with our CarbonLite Training Programme. 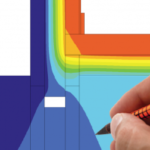 Be confident to retrofit buildings to a high standard by participating in our online CarbonLite Retrofit Training Course. Enjoy a free listing in our highly searched Members Directory and use our logo on your marketing materials to show your commitment to green building. Let others know about your company by introducing yourselves in our Newsletter, sharing your 'Member News' and perhaps by sharing your views with a 'Soapbox' article! In addition to the benefits above you would also qualify for discounts on products and services. 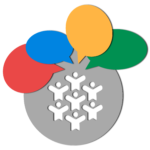 If you join as a Company, all employees are members and we will be pleased to provide additional log ins as required to ensure everyone has full 'Member only' access to our website including our technical forum, Library of Documents and Resources and Knowledgebase. We do hope to welcome you as a new member!